Beatrice Shibunga gave birth to her first child in Nairobi’s slums at the age of 13. By the time she reached 30, she had eight children. She only found out about contraceptives when she took her eighth child for a check-up at the local clinic. She started using three-month injectable contraceptives, preventing further pregnancy and enabling her to provide better care for her surviving children. 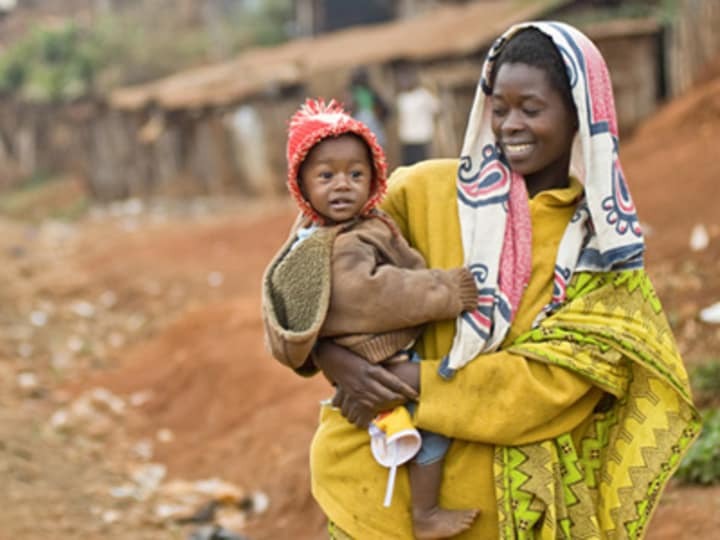 A community health worker taught her the basics of parenting, nutrition and hygiene. Inspired by the help she received, Shibunga has also become a community health worker, going from door-to-door in Nairobi’s Korogocho slum, telling women about family planning and handing out condoms and pills. There are 222 million women in developing countries like Shibunga — who wish to prevent or delay childbirth but who are not using modern contraceptives, according to the World Health Organization. Leaders at the 2012 London Summit on Family Planning set a goal of providing an additional 120 million women and girls in the world’s poorest countries with access to modern contraceptives by 2020. This would result in 100 million fewer unintended pregnancies, three million fewer babies dying before their first birthday and 20,000 fewer women and girls dying in pregnancy and childbirth, the summit’s organisers said. On November 12, world leaders meet in Addis Ababa, Ethiopia, to discuss progress made since the July 2012 gathering, which was co-hosted by the British government and the Bill & Melinda Gates Foundation, in partnership with the U.N. Population Fund. Kenya is being hailed as a leader in family planning in Africa for the steps it has taken over the last year to work towards this goal. It has increased its national budget for family planning services to $9 million in 2013/14 from $6.5 million and introduced a costed implementation plan for family planning — which will help it attract more donor funding. It has also changed its guidelines to allow CHWs to provide injectable contraceptives in their own homes, rather than referring women to clinics. “We’ve had a great example from Kenya that has already put a line item in their budget to make sure that there is commodity security,” said Elizabeth Lule, director of family planning for the Gates Foundation, at a press conference in Nairobi on Nov. 7. One in four women in Kenya do not want to get pregnant but do not have access to family planning services, with poor and uneducated women having the greatest unmet needs. Almost half of the poorest women say their most recent pregnancy was unplanned, according to the Kenyan government. Kenya is close to achieving its goal of increasing the contraceptive prevalence rate — the percentage of women of reproductive age using a modern contraceptive method — to 56 per cent by 2015, up from 46 per cent in 2008/09. Some cities, like Kisumu, have already reached this figure while Nairobi is at 53 per cent, according to Isaac Malonza, Kenya country director for Jhpiego, an NGO that trains health workers in reproductive care. In Kenya, 21 women die in childbirth each day. Family planning could prevent nine of those 21 deaths, according to Malonza. Other experts agree. “Family planning actually saves women’s lives and reduces child deaths especially in the first month,” said Lule. With fewer children, more women are able to work and contribute to economic growth while more young girls are able to stay in school. “This has huge intergenerational benefits because these educated girls will also make sure that their children are better educated,” added Lule. CHWs like Shibunga are at the core of the government’s strategy for getting the message about contraceptives out to poor women across Kenya. They are trained to give their neighbors health information about family planning, immunization, HIV/AIDS, malaria and hygiene. They also identify symptoms of sickness, such as malaria and undernutrition, and refer people on to health facilities. “It’s easier for somebody to go and knock on your door as a neighbour and give you a message about family planning, than me with all my qualifications,” said Moses Owino, a medical officer in a Nairobi clinic. Many NGOs use CHWs, such as Jhpiego which has 3,000. The government has 2,500 CHWs, according to Fred Segor, principal secretary in the Ministry of Health. Despite the important work they do, however, CHWs are unpaid. Edited for style and republished with permission from Trust Women. Read the original article.